George A. Garinis, Professor of Genetics at the department of Biology, the University of Crete will coordinate two large international research networks on ageing and DNA damage at the Institute of Molecular Biology and Biotechnology (IMBB) at the Foundation of Research and Technology (FORTH). The two research programs will be funded by European Commission with the sum of 8 million euros for the time period 2019-2023 of which more than 2 million euros will fund specifically the research projects at the IMBB. The first international program “H2020 HealthAge” will focus on ageing with an emphasis on mechanisms that underlie a wide range of age-related diseases, including metabolic defects, endocrine abnormalities, immune disorders and cancer. The academic research labs and companies that will participate in the European program “HealthAge” are from Greece, Germany, Netherlands, France, Israel, Switzerland, Spain, Finland, and Italy. All members of the program are excellent scientists with world renowned expertise and reputation on ageing and lifespan regulation. 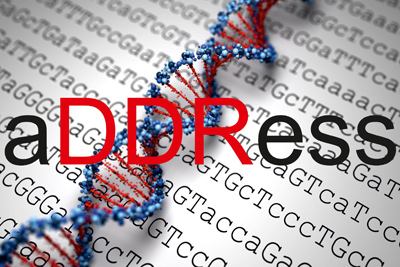 The second international program “H2020 aDDRess” will focus on the impact of DNA damage and the DNA repair mechanisms aimed at restoring damaged DNA back to its native form. DNA damage gradually accumulates with ageing leading to a battery of age-related diseases, including cancer. Thus, the aims of “H2020 aDDRess” are highly relevant and in direct line with those of HealthAge. This and the fact that both research programs will be jointly coordinated by the IMBB-FORTH will allow a number of joint activities e.g. workshops, seminars, student exchange or straight-forward collaborations between the participating labs. Besides Greece, the research labs and companies that will participate in aDDRess program are from Sweden, France, Germany, Czech Republic, Switzerland, Denmark, Norway, and Finland. “In addition to the extensive research funding from EU, both European research programs will contribute significantly towards the international recognition of the IMBB as a center of excellence in research and training of young people, not only in Crete, but also at the European level. At a local level, both research programs will enable our research labs in Crete to build in stronger and productive research collaborations with several labs across several European countries while they will also help enormously towards the generation of new knowledge over a wide range of human diseases” George A. Garinis explained. Together with the Garinis lab, the lab of the IMBB researcher Dr. Vassiliki Nikoletopoulou (for HealthAge), Associate Professor Charalampos Spilianakis (for aDDRess), and Professor at the Medical School of Crete and President of FORTH Nektarios Tavernarakis (for HealthAge), will also actively participate in these networks. For more information, please contact Professor George A. Garinis (tel. : +30-2810 391246, email: garinis@imbb.forth.gr).